You likely have countless options when it comes to finding the right keystone jacks for your network setup, but at CableWholesale we have the perfect solution. 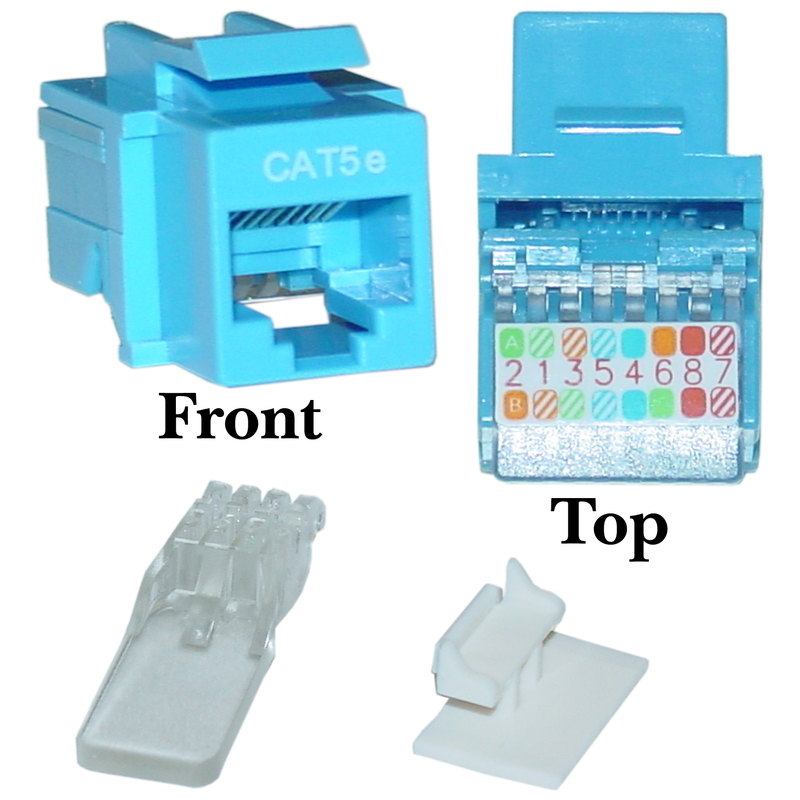 Our Blue Cat5e RJ45 Keystone Jack comes complete with all of the features you need to get excellent results. It is an Unshielded Twisted Pair jack made with a pure copper conductor, gold connectors, and thermoplastic ABS housing. To make things easier it is even compatible with all of our keystone mount boxes, panels, and wall plates. Even installing it is a quick process due to its toolless design. 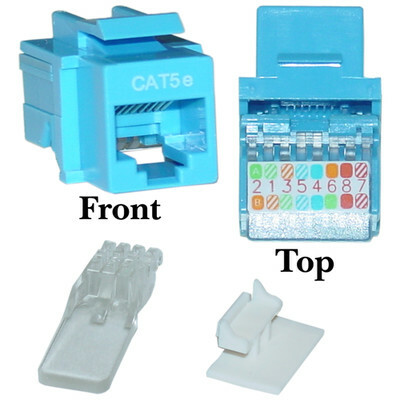 Making your 110 type punch down to Cat5e connections has never been simpler. Our Blue Cat5e RJ45 Keystone Jack works in all types of environments, and it exceeds the EIA/TIA-568-C standard. Order yours today, and contact CableWholesale if you need any help! Connections are excellent, termination is a little awkward. Please consider carrying "straight line" punchdown jacks.